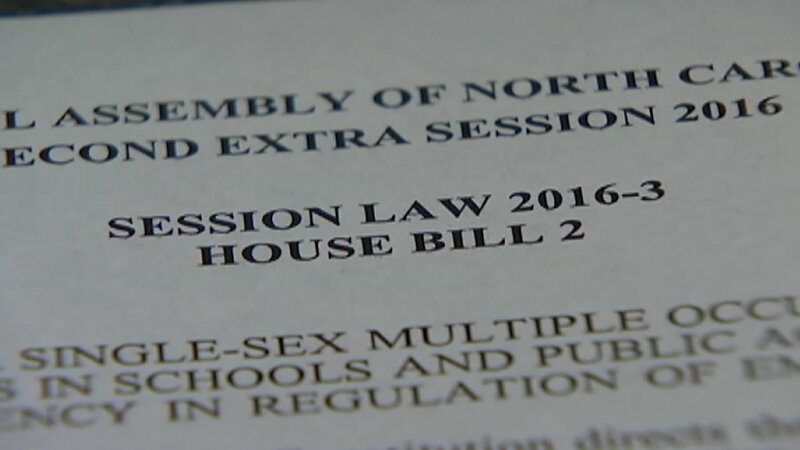 RALEIGH (WTVD) -- Scott Dupree, Executive Director of the Greater Raleigh Sports Alliance, said Tuesday that if North Carolina doesn't repeal HB2 in 48 hours, it will lose NCAA championship events through 2022. "I have confirmed with a contact very close to the NCAA that its deadline for HB2 is 48 hours from now. If HB2 has not been resolved by that time, the NCAA will have no choice but to move forward without the North Carolina bids. The NCAA has already delayed the bid review process once and has waited as long as it possibly can, and now it must finalize all championship site selections through spring of 2022," said Dupree. "We are encouraged by the bipartisan efforts underway in the state legislature to find a solution. That being said, we will not endorse any one bill; we simply seek a swift compromise that will allow us to begin to repair the reputation of our region and state and get back to selling and marketing Raleigh as the thriving Southern capital city that it is, one shaped by the passionate minds of its inclusive and welcoming residents. We don't know how the NCAA or other organizations will view specific proposed legislation to repeal and/or replace HB2. Therefore we will not attempt to speak on their behalf or on behalf of any other clients/groups that have expressed concern over holding events in Raleigh and Wake County." The purported deadline comes a day after an Associated Press analysis that shows North Carolina stands to lose $3.76 billion in lost business over a dozen years because of HB2. Republican leaders pushed back, calling the report "bogus".